In the summer of 2016, Canadians were informed that one of their leading rock icons, Gord Downie, was diagnosed with terminal brain cancer. This revelation shook the country, but fans were able to achieve some closure as the Tragically Hip announced their farewell, national tour. Specifically, their last show in their hometown, Kingston, Ontario (August 20, 2016), drew 11.7 million viewers nationally, illustrating how infused the Hip is in Canadian culture and its people. I specifically say some closure because, after watching Long Time Running, I believe fans can complete their cathartic experience, by following Downie’s journey from patient to rock star, where he essentially has to re-learn how to be musician again. The directors perfectly illustrate Downie’s journey by intertwining the Hip’s eclectic sound with sweeping Canadian landscapes and symbols, emotional and honest asides from Downie’s loved ones and the sheer, raw pride and respect his fans have for him and the Hip. Essentially, this documentary is a must watch for all: musicians, Canadian residents, lovers of Canadian culture, or simply those who wish to see an honest, uplifting portrayal of the human condition. 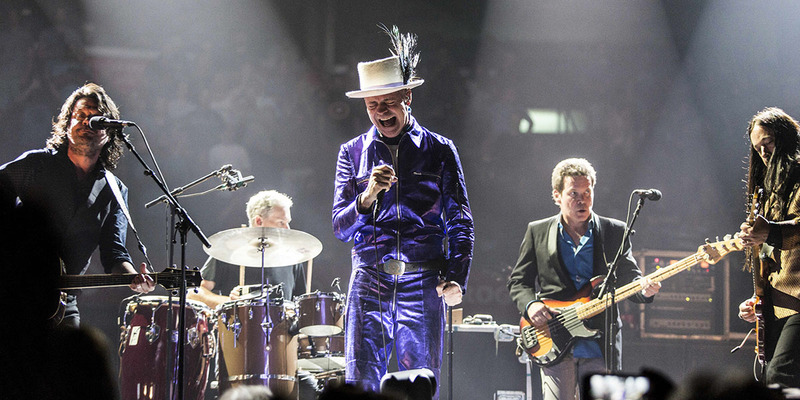 Lastly, it is clear to me, Gord Downie pushed for this tour, despite his weakened state, since he felt he had to say goodbye to his fans on his own terms and in the best way he knew how: through his complex, poetic songs on a stage shared by his best friends. And in doing so, he has created musical progeny in his fans, as those who revere and consume his music will be carriers of his musical legacy for generations to come. Posted in English blog and tagged as 2017, documentary, featured, film, gord downie, Jennifer Baichwal, Long Time Running, music, Nicholas de Pencier, rock, Roshane Francis, The Hip, TIFF, Toronto, Toronto International Film Festival, tragically hip.